Another Klei title? Definitely. Mark the Ninja, as he is called by sensible people, has an excellent stealth game built around him. 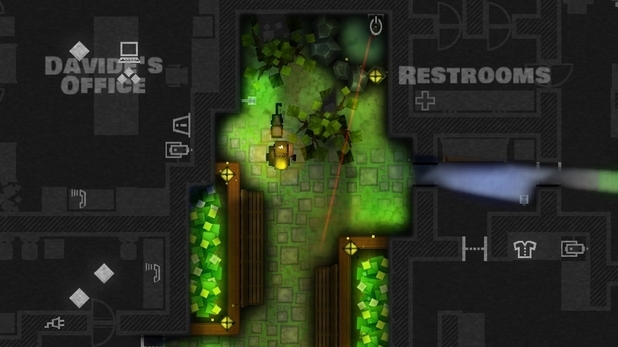 While we seem to be rather spoilt for indie stealth titles at the moment (Monaco, Gunpoint, The Swindle...), Mark stands out for being a purer implementation of the ideal, for being rather more substantial in terms of content, and for actually being released. There's also a story packed in there with a fun twist, though it's perhaps not what you'll really be savouring. Also I was reminded in San Francisco that Klei started out with Eets, which I recall from a long lost era when indie games weren't so much of a thing, and which I'm told was the first indie game ever on Steam, which is pretty weird to think about. I really wasn't sure I was going to like Monaco. A quick play at PAX last year only exposed me to the quick-fire chaos of a noob game, and I didn't want arcade, I wanted stealth. Turns out it's my favourite game of the year so far. The devs are right when they say whatever game you want from Monaco is in there somewhere. Soloing each level, taking it slow and methodical, is possible and highly rewarding, but playing with a reasonably experienced team is even more so. It's amazing how quickly you get comfortable enough with the mechanics to start improvising on the move. Monaco is a brilliant co-operative stealth game that is worth every single penny, and that's all I'm going to say about it. Oh, and the map editor is coming out soon, apparently, out now in beta, and I am excited. have made a level. And finally, because I'm super lazy and want to go play Don't Starve / read about political justifications for environmentalism / have a smoke / write a Swapper post-mortem... 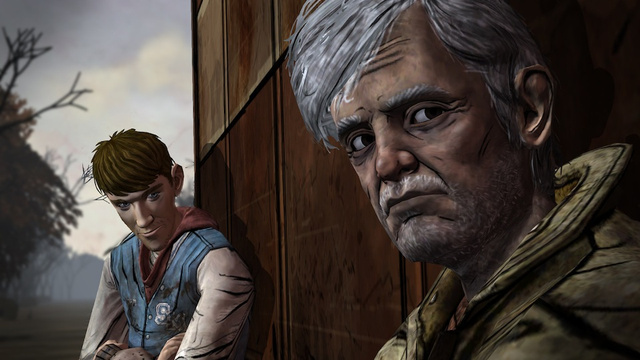 I will simply say: play The Walking Dead. It is amazing, there is new DLC coming out, and I will be surprised if it doesn't take the Writers' Guild of Great Britain Award this year. Oh, and the first episode is free on iPad. Boom. Thanks for the kind words about Ninja! Really glad you enjoyed it (and I'm still quite happy with the ending, which I'm glad you dug too).